Applies granular seed, chemicals, salt. Durable, rustproof polyethylene construction for long life. 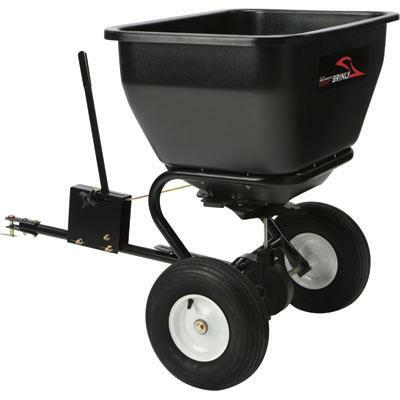 * Please call us with any questions about our spreader broadcast tow rentals in Oak Grove MO, Blue Springs MO, Independence MO, Lexington MO, Odessa MO, Independence MO and Western Missouri.